For centuries the Tarot has been used to give guidance and prognostication. Especially for beginners, a visit to a trained reader is the best way to make use of this method of divination. However, it is certainly possible to consult the cards oneself. In fact, as you develop your intuition through their use, you may find insights from your deeper self that a reader might miss. Using the Guiding Star Tarot is an excellent way to foster your relationship with this symbolic medium through carefully programmed software. 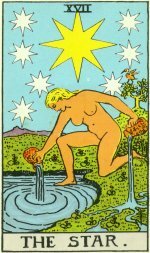 The Guiding Star Tarot is a beautifully presented software version of the famous Rider-Waite Tarot deck with the full version of the original Rider text. 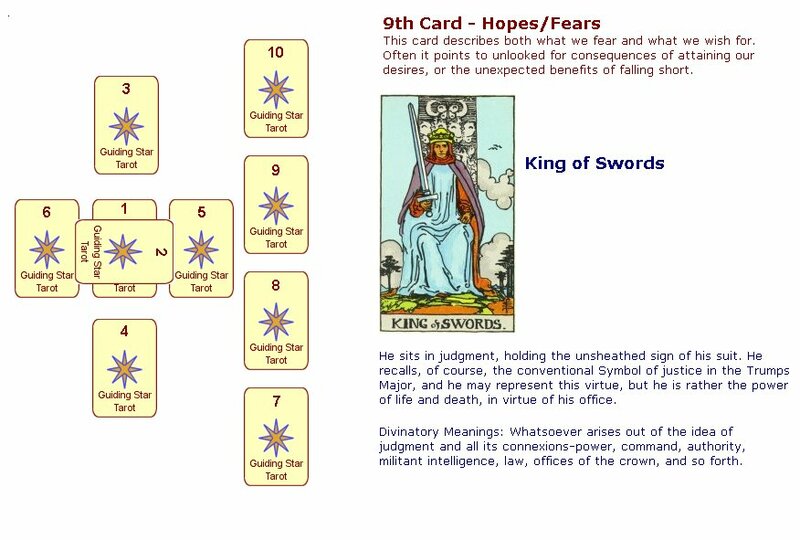 (See Screenshot) It features six different Tarot spreads, including the Celtic Cross spread, the Zodiac spread, the Relationship spread and more. You will also find tips on Tarot interpretation and choosing a spread for your tarot reading, articles by Arthur Waite on the history of the tarot and the Tarot in Secret Tradition, P D Ouspensky's visionary journey through the Major Arcana, and an internet resources page with freely available information on Tarot and cartomancy, online lessons and more! Compare with other Tarot software offering only one spread, less detail, fewer extras and at a much higher cost and you'll certainly appreciate this excellent offer! Now, some may argue that the actions of shuffling and dealing the cards provide an element of ritual that is missing in a software application. However I believe that one can develop one's own ritual in using this software; surely it is the attitude and mental preparation of the questioner that is of prime importance. For example, a bit of meditation or relaxation before hand, a soothing drink, incense and a quiet, aesthetically pleasing location will help to create a ritual space and atmosphere. The mind thus prepared will be more open to the symbolic messages that speak to the inner depths. Having myself consulted the cards for decades, I am often surprised at just how insightful are the readings produced by this software. It is an interesting debate, but why not make up your own mind? Be sure to choose "Save" rather than "Open" or "Run"! This software is 100% safe; it contains no viruses or spyware, nor do we send out spam or sell our customer's email addresses. 800 x 600, best at 1024 x 768 and higher. Requires Firefox or Internet Explorer. May work with other browsers but not guaranteed. INSTALLATION AND THE PROGRAM ITSELF AS AN ADMINISTRATOR! Instant Download, no postage fees!